Fantastic Location/Great Neighborhood!! 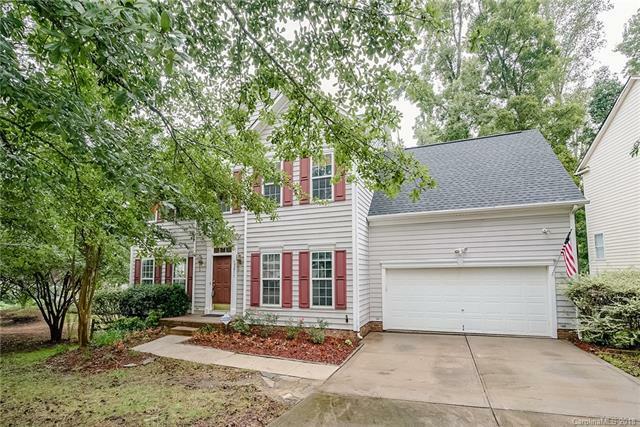 This 2 story with a finished basement has 4 bedrooms plus 3.5 baths. Extremely large family/living room, as well as a formal dining room. New Laminate Hardwoods throughout the main level. New granite countertops in the kitchen, cabinets professionally painted & hardware added, with patio doors leading to the deck. Brand new carpet in all the bedrooms and staircase and fresh paint. Master has tray ceiling and the bath is huge with dual sinks, and a great walk in closet. All bath cabinets prof painted & new hardware added. Laundry room is upstairs with all the bedrooms. Basement has been used as a recreational room and has a wet bar, full bath, as well as additional storage. Patio doors provide access to the back yard and has a 12 x 16 outbuilding. This home has tons of extra storage-took advantage of every square inch. Water heater 3 yrs old; Roof 5 yrs old. 1 mile to I-485 and shopping/dining. Move-in ready! !